sailboat. 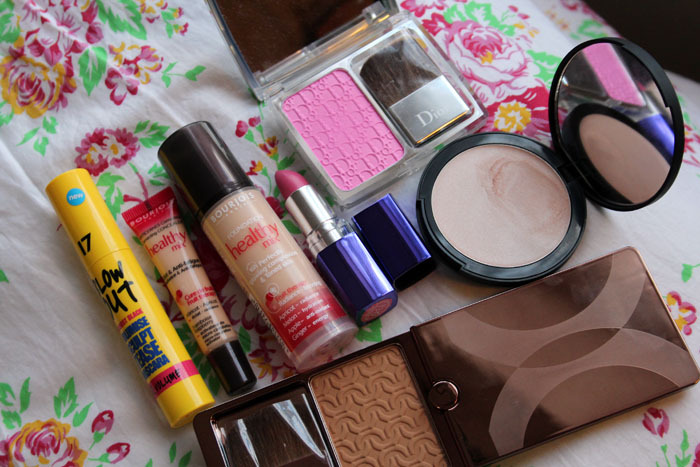 : Everyday Make Up: Pink Cheeks & Lips. Eyes: 17 Blow Out mascara. Cheeks: Dior Rosy Glow blush, Sienna X Matte bronzer & Jemma Kidd Dewy Glow in Iced Gold. 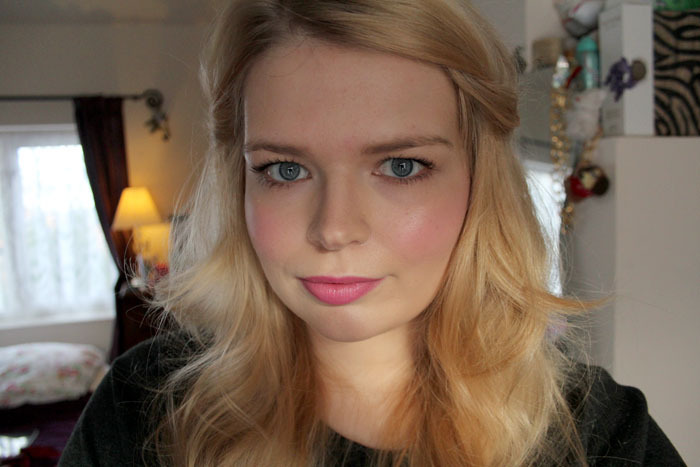 Lips: Rimmel Moisture Renew lipstick in Oxford Street Fuchsia. Today is a designated essay writing day for me. Well, I say that but right now I'm writing this and in a minute I'm going to go and bake a carrot cake. So, yeah. Maybe it's not a designated essay writing day. But I will be doing some. Maybe. Normally I wouldn't have put make up on at all but I just felt like making myself feel a little more human this morning, it's just one of those days I think! Bourjois Healthy Mix foundation is my current favourite, with a bit of Jemma Kidd Dewy Glow All Over Radiance Creme in Iced Gold. I love the added glow that the highlighter gives my complexion and I'm still trying to relive some summer days so bronzer is a bit of a must have for me at the moment. I'm not quite ready to totally embrace my casper-like complexion just yet! Also please excuse my horrendous dark circles, nothing seems to want to cover them right now! 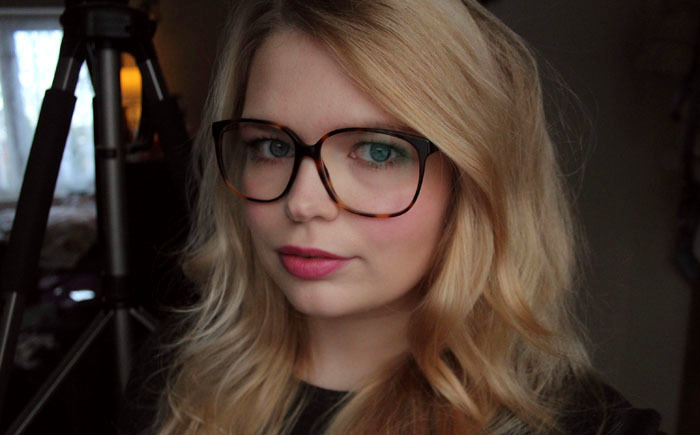 Dior Rosy Glow blush is the perfect shade to perk up my complexion and make me look more awake and this Rimmel lipstick I picked up on a whim has become one of my current favourites! What is your current absolute must have make up item? I would love to know! ps - I wish I could pull off glasses like that! Can I have everything in this post?! Just kidding... but that Dior blusher is OUT OF THIS WORLD pretty. So pretty! The Dior blush looks beautiful. My must have make up item is definitely Hoola bronzer by Benefit, I have been buying it for the last eight years and I will never switch to a different one. I am also loving pink cheeks at the moment. Nothing seems to want to cover my dark circles at the moment. One of the reasons I prefer summer is my skin seems better and the circles less noticeable. I love your collection of blushers - I'm also fond of bright pinks! They give you such a lovely flush of colour. You are so beautiful ! I just can't <3. I LOVE that Jemma Kidd highlighter! I think the color looks so amazing on the cheekbones, it's the perfect glow! i love your blush and your glasses! I'm a Healthy Mix girl, too! It's my absolute favourite foundation I've ever used. That Dior blush is just such a pretty colour!